Everyone knows it’s festival season and crawfish season, but you know what other season is underway? Gator season! The water is warming and the gators are coming out to play, meaning it’s time for you to grab a pack of marshmallows, a six-pack of beer and be a tourist for an afternoon. I’ve been to roughly six tours in the past year and a half. That’s right…six. I can’t help it. I love boats, Spanish moss and those dinosaur-like reptiles. Since I’m such a seasoned pro (hehe) I rated these tours based on a few things to give you some tips for your next swamp adventure. Header image is from flickr user @peterme and is used in accordance with a Creative Commons license. Although the drive is a good hour and a half, Munson’s is worth the trek. The boat is super intimate; we were literally the only group on it. It feels like you are visiting your local neighborhood swamper. This is a real favorite among my friends. I enjoyed the smaller boat, and the scenic route of the tour. The small canals that take you through the trees are just magical. I don’t really need to tell you about this tour, because you’ve probably seen the buses and ads all over town. It might be the most popular tour in town, which is both good and bad. 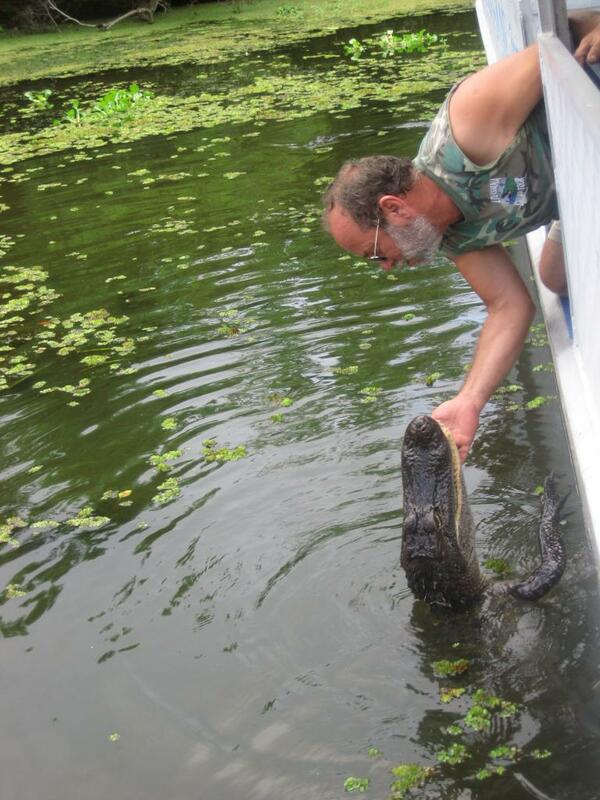 They know what they are doin’ down in the bayou, but I could not feel more like an out of towner. This tour was the first one I ever went on. We spent a little more time that I would’ve liked out on a bigger lake than the cuter canals, and the boat was a wee too big from my liking. I couldn’t even hear the captain (that may have just been his thick Cajun accent though…which I adored). Apparently this man inspired the little bug in Princess and the Frog. 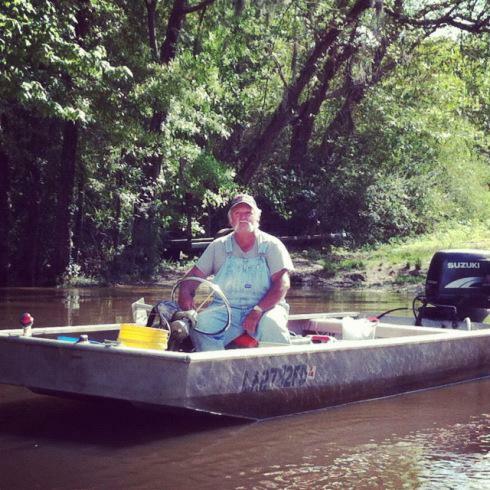 He also had no fear when it came to catchin’ those gators. And we saw a LOT. So if you like celebrity spotting, marshmallows and a lot of scared patrons, this tour is for you. Yes, it was at night so there were no gator sightings (although I swear I saw some of those beady eyes peepin’ at me). Though it was operated like a typical swamp tour, instead of gators and nature stories, we had ghosts, some sort of pirate attack and plenty of haunted swamp houses along the way. Part “Pirates of the Caribbean,” part “Haunted Mansion,” I thoroughly enjoyed this unique Disney World-like experience. 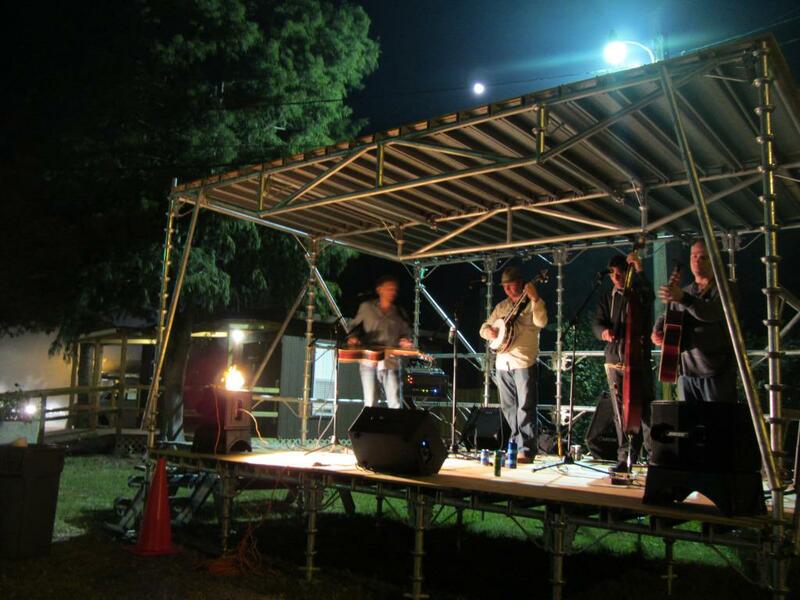 They also had a zydeco band playing while you wait. 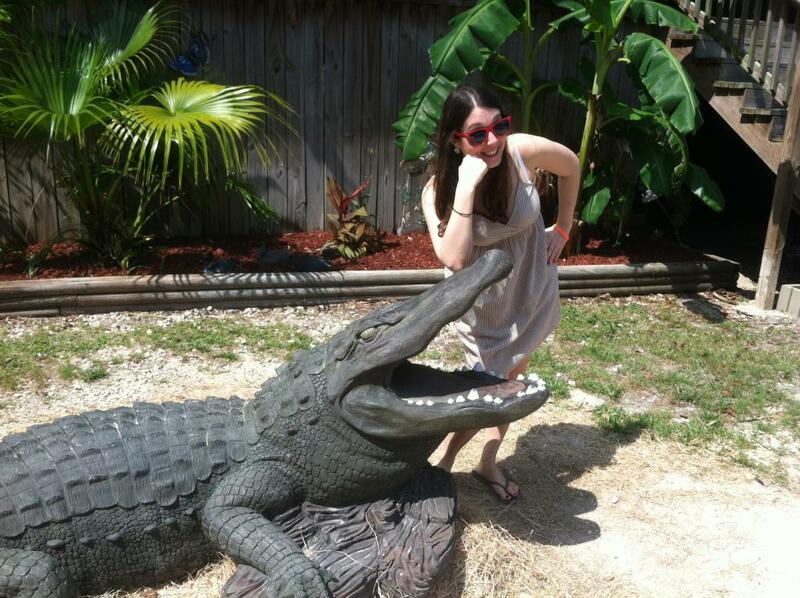 Since my rating chart doesn’t fit this tour, I will give it TWO GATOR CLAWS UP! It might be best to take your grandparents on this particular tour. The boat was small, but the tour was all about NATURE. 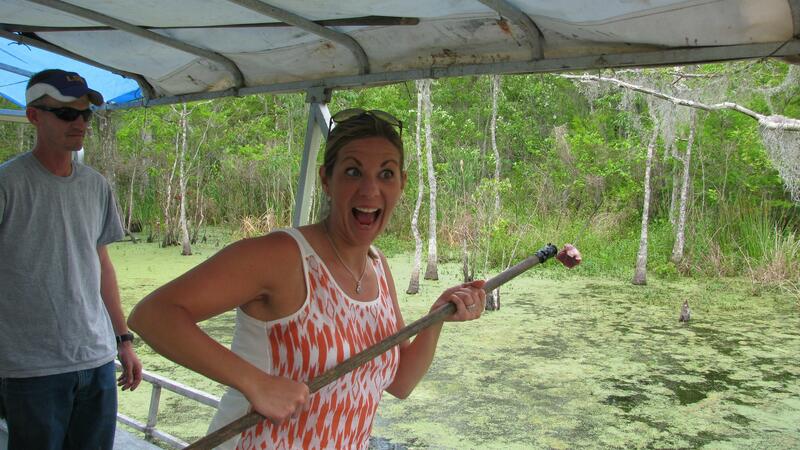 Gators were an afterthought, and my guide was not about to even try to grab one. He didn’t even have a tiny one on board to pass around (Hello! 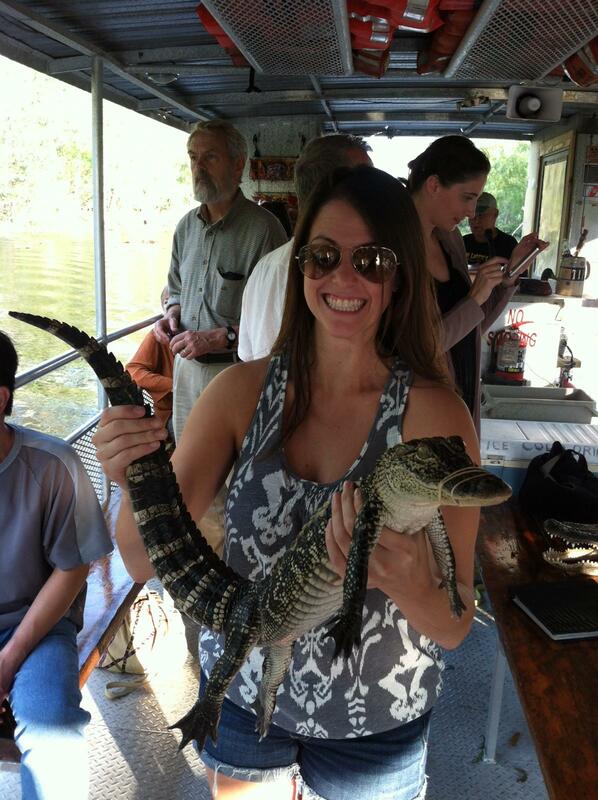 Swamp Tour 101!) It was a beautiful day and I did bring a beautiful Abita Strawberry to enjoy, but I think this one is best left for the diehard bird-watchers and snake spotters of the group. Well, there’s my list. Take it or leave it. Your next swamp adventure is in your little gator claws. Kim Smelter moved to New Orleans in 2011 from New York City. She regularly blogs at NewGirlinNOLA.wordpress.com. Thank you Kim for all that valuable advice. It will certainly be useful to planning our NOLA trip. So glad to have stumbled on this page! Glad you found it helpful! Holler if you need any more info and I’ll get it passed along to Kim. Email is newinNOLAblog@gmail.com. Really enjoy your rating scale. Quite creative. We take a leave no trace ethics approach when it comes to nature. We hope others do too. Thank you so much for offering details about these tours! I was leaning toward a certain tour before, but now I think I’ve found one my family will enjoy more! Vendeur à garder dans mes favoris. u1xy5 http://u1xy5.cf/ conforme, livraison méga rapide.